What is the origin of Destreza? Destreza is one of the most effective systems of fencing. It presents a science by itself, in the basis of which there is a fundamental knowledge in the area of Spanish fencing. The history of Destreza origin goes back to ancient times. According to official documents that have been preserved, the first mention of Destreza goes back to XVI century (the treatise of Jeronimo de Carranza “The Philosophy of Arms”, year of 1582 ). Thus, we officially know about Destreza about 500 years. Certainly, the given fencing system did exists in this or that form on Canary islands long before. 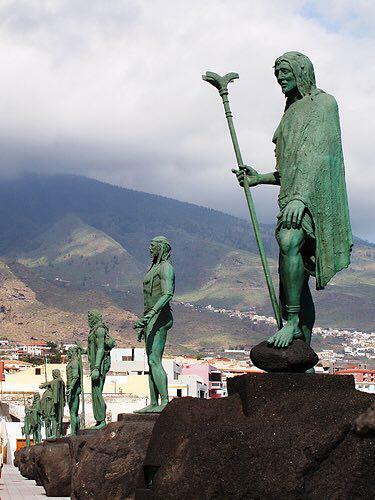 It should be reminded that according to history, at a certain point Canary islands were the place of the genetic experiment carried out by monks of Franciscan Order. 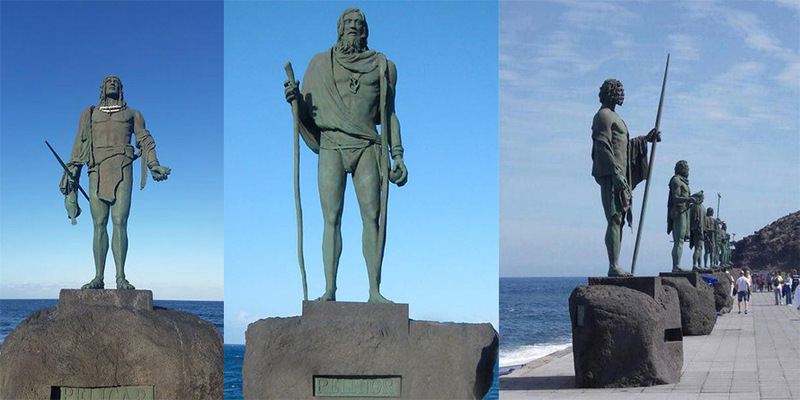 They “interbreed” spanish nobleman with Guanches – the local tribe of Tenerife. As the result of the experiment, there was an emergence of a new generation of people, who had a Guanche mother and Spanish nobleman father. What was peculiar in that new generation? The point is that they were brought up at the castle of his father, and at the same time he used to visit the tribe of mother. He used to spend long time in the tribe. As a result of such an upbringing there was a young man who doesn’t fear cold nor heat, a man who could have slept on the ground without clothing and stay alive without food and water for a long time. Those people had non-human physical abilities. The scientists of those time write that Guanche could have broke the shield with one strike of his fist. As one would understand, there was no metal in those times, and that they didn’t use iron pieces. Weaponry was wooden, but it was no less durable than ones from metal. For instance, tolete (Spanish wooden stick) is used on the Tenerife island since long as a weapon and even a sword (and a two-handed sword) can’t be compared to it. In case an enemy has a metal knife in hands, and the other man has a tolete – he can easily stop the attacker by means of this stick. Tolete is a great weapon. ← What is Kali Filipino system?